Our karate school is located in Pierrefonds in Montreal West Island. We have been teaching karate to kids since 1998. Our karate classes contribute to the overall development of the child – her physical and psychological health and her social fulfilment. Through Kanreikai karate training, our kids improve their fitness level, concentration and self confidence. They learn to cope with difficulties and meet challenges. Our certified instructors make sure that our young students get the best from their training and that they have a great time as well. AT MONTREAL KANREIKAI KARATE SCHOOL.. Your child gets a fitness workout that is fun and adapted to his age and abilities. Our 4 to 6 years old kids discover karate in a playful manner. At 7, they join our regular program and improve their fitness level through various structured exercises that combine challenges and fun. Your child learns to try hard and overcome obstacles! Our classes of karate for kids develop self discipline, perseverance and transcendence – skills that will help her succeed in life! Your child learns to channel his excess energy in a positive way! High energy kids often get themselves « in trouble » not knowing how to manage their impulses. 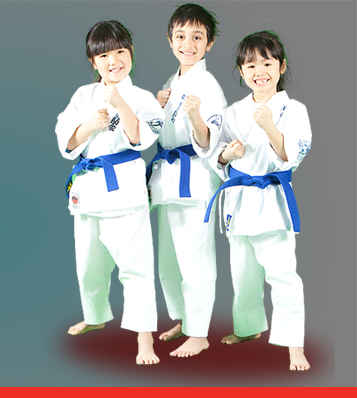 Karate helps kids gain self control by allowing them to spend their energy within a vigorous yet structured activity. Your child can be part of our Competition Team! We train young students interested in competing in Kata or Fighting at karate tournaments. Competition is an excellent complement to the practice of karate, enhancing fitness and self-confidence. YOUR KID GROWS IN A SAFE, CONSTRUCTIVE AND EXCITING ENVIRONMENT!!! – Kids who learn karate fighting techniques become more resilient and less aggressive. Our children’s decreasing level of fitness is rapidly turning into a problem of society. Martial arts, like karate, allow kids to physically spend themselves and improve their overall fitness as they learn basic techniques, kata forms and fighting techniques that valorize them individually. At our karate school, kids are offered an excellent opportunity to develop fully, confidently … while having fun! Consult our schedule and book your first trial class!